OT but Amex cards. Do you get any points for adding a supplementary card to the SPG? I’ve decided to hang onto mine now as Marriott has properties in GCM but Hilton doesn’t, so it makes sense for us to collect SPG points on Amex spend. No bonus for a supplementary card on SPG. Get your partner to apply for their own SPG card if they qualify for a sign up bonus, then pool the points. Or maybe just get the supp card as it might allow you double dip on special offers. Ahead of you – we’ve done that already! Just formulating our next strategy now the rules have changed, will keep one SPG for the reasons stated above and looking at ways to maximise the points. Amex Rewards Credit card for me when my free year on a Giold Credit card runs out in about three months runs out. I have spent about £5500 on it (most of that being £3246 for two flights from GLA to HKG in J/F on their BOGOF offer last summer). That might go over £6000 for the year before I cancel, but no way will it be much more. £15K per year? That is more than a years income, I woulod reckon! And keeping one card earning 6000 MR points per year is a good idea in comparison? Be aware that if churning the BAPP you need to spend £3000 in 3 months to get the bonus. You also wouldn’t hit the £10k amount to get the 2-4-1 voucher. There is also the pro-rata cost of the BAPP and platinum. However, taking that into account, if your can hit both bonuses then maybe a Cashback card would be better in between churns of BAPP and platinum. You are joking about the BAPP? The price of £195(?) is extortionate and the £3000 spend to get the bonus is, under normal conditions impossible. £2000 for the Gold is hard work, £1000 doable at Christmas. I am happy with my Blue fee-free BA Amex, thanks. I’m certainty not trying to sell the BAPP to you – I’ve got little interest in BA flights. However what I’m saying is that if you have limited spend through an amex card, the only way of getting any real redemptions is to time your applications and nab the sign up bonuses when eligible. The £195 is refundable pro rata so would get the vast majority back. If you are planning to spend £3k on flights again then the BAPP bonus is possible in one hit. However, getting a cashback card as your long term one, then putting in “hard work” to hit the platinum target every 2 years nets you 35k MR points for £120 (pro rata fee when cancelled after 3 months). This may not work for you but it’s certainly worth thinking about. OT: Got a offer on my Plat yesterday – £100 back on £400 spend at Microsoft. Might be worth a look. I have got one and it is superb! I am interested to, especially to find out if you can buy gift vouchers…have the offer on a couple of cards so was thinking of using the gift voucher to purchase a phone. Anyone any experience of buying gift cards frm Microsoft store – would they trigger the amex and can they used for hardware purchase? Can’t promise it works for this one, but the last time Amex ran this promotion online gift cards did trigger the bonus. Had some problems with security issues on the Microsoft account and buying £400, but once this was cleared it worked. I did it this week from Green. The process has changed: no longer a full application form; you log in to the current card and answer a couple of questions. So do you still use the upgrade link to upgrade from green or do you have to have the offer on your account? @Mark2 – when did you apply for the Green. Did you wait for the first month and Green fee to apply? I applied on Wed and still waiting a decision. Will phone tomorrow for an update. No I didn’t. deliberately (I think one day). I thought that I might confuse things by upgrading before the £60 was charged having just had a free year of Platinum after upgrading from Gold. But will probably be disappointed! do you have to keep the green card for a year before upgrading it to Platinum? I upgraded it immediately; whether I shall get the extra points remains to be seen. No. You can upgrade immediately. Slightly OT – wanted to get my wife to refer me from her Amex Plat card this morning but can’t see where to get the referral link!? I’ve done this loads of times before but can’t see the link this morning for some reason! Managed to get to it through the Help center but a bit strange it wasn’t more obvious. Hi. I am in my second year holding a hold card but didn’t use the lounge passes last year. Do I only get 2 free passes this year or do last years roll forward too so that I have 4 now? Thanks in advance ! In terms of holding long-term, it would be good to consider it in comparison to the green card. Assume for the sake of argument that the holder only earns at the 1x rate, and put to one side the other supposed benefits of the gold card*, then with green you break even on £6k spend, but on gold you break even on £14k spend or, if hitting the £15k anniversary target, make about 11k MR profit taking in to account a small allowance for the rounding down effect mentioned earlier in this thread. *Which seem very weak to me. Now go a step further, and you can see that for those with more modest spending power and who don’t have a sign up bonus option due to recent changes, or who are against churning as a matter of principle/won’t wait for one, and who aren’t swayed by the frills of gold or green, then a clear winner emerges in terms of the best long term card for fee to MR ratio: the ARCC. 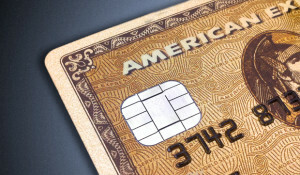 Not sure the ARCC card is a long term keeper but as you suggest it may be dependent on your spending behavior. Another consideration is how long you like to keep your MR points banked in Amex. Personally not happy running large balances. I’ve only been around a year and a bit, as a travel points collector; I’ve been aware of recent devaluations in some airline and hotel programmes, plus Tesco, but I’ve not yet experienced any devaluation of MR. Has it happened much in the experience of those who’ve been doing this for several years or even decades? Over the past 6 years no devaluation in MR in that you get the same in those hotel/airline programs as before. The programs themselves however have devalued thus MR have also become less valuable. Never seen an MR devaluation. I haven’t being doing this long either Qwerty so not sure about the devaluation side. However when I took my first amex card out I didn’t realize they like to test you first to see if you are good for the money. I put a couple of grand through the first few days and they blocked the card pending review. The review went badly in that the operator had prejudged me as probable fraud and addressed me accordingly. Long and short I paid the balance off over the phone and without notice they cancelled the card including the bonus I just achieved. I didn’t chase it as it’s more valuable as a reminder not to keep high balances of anything anywhere. I am FAR happier running an MR balance than an airline balance. Having an MR balance obviously offers flexibility, and that has value. But they in effect devalue every time the things you convert them to devalue. This has been an interesting little sub-topic, and an eye opener for me. It’s obvious now it has been said, but it hadn’t dawned on me that whilst MR itself stays constant, not many of the things that can be done with it stay constant. I suppose these days most airlines are in a race to towards the bottom as regards their loyalty programmes, because nobody is bothering to make an effort to stand above the others which would force any of them to up their game? @Qwerty – Points are great, and you can get real value sometimes, often something like an unavoidable short notice need to travel, prices crazy, but there’s an Avios option. What you can’t do is assume that having 250K Avios will get you a pair of long haul flights when you want. But, having said all this cash in most situations offers a lot more choice. Maybe it doesn’t work for you, but BAEC is excellent for European options and taxes are £35 or £50 for Club. The value of Club on short haul is a very personal thing, largely worthless to me as I get a lot of what it offers from BAEC status. @Qwerty as already mentioned, having reasonable points balances are useful for when flights / hotels are pricy for cash. But not too many so as to avoid significant devaluations. Earn and burn. SSC. Stash & Save the Cash, Qwerty – without a reasonable stash you can’t take advantage of the opps when they come up – or immediate flight needs, perhaps at peak. OT- BA Amex(free) and BA PP are now treated as 2 standalone cards for the purpose of companion voucher! I applied online rather than phoned up- but that didnt make any difference in the past. That sounds more like a mistake to me. Amex, very often, fails to recognise existing cards and this is what would happen here if they didn’t spot the current one. Is the start year for your membership correct on the new card? You should call Amex, in Brighton, and talk to them about this. Ok thanks all, I’ve called up Amex to sort this out. They’ve now cancelled my new PP card and upgraded my Blue card instead to make my cumulative spend still carries over. 140GBP annual fee on Gold = fee on AMEX Platinum in USA minus benefits (200USD airline credit, 200USD Uber credit, 100USD shopping credit at Saks). So by holding a Gold card you are really stuck with an inferior product and local optimum. P.S. Collection of offers to the US consumer is outstanding. And the fee on the UK issued Platinum is way too expensive for a single person, although not for a married couple with two kids like Rob and his family…………………. We don’t always take families with us. A single traveler could easily get value from a Platinum card if they took a few short hops in economy to mainland Europe every month. One of those cards where the more you use it the more reasonable the fee becomes. More you use the benefits the more value you get. It’s a poor card to spend on. I personally found the Gold benefits (more MRs on travel) better than the Plat ones. Yes but that’s spend, not a benefit. Platinum has unlimited access to a wide range of lounges versus two visits on gold. There’s a host of other benefits that make Platinum better than gold. But gold is a better card to direct spending to as airline/foreign spend is better rewarded. Totally different market though – much bigger interchange fees in USA to cover cost of benefits. Look at the amazing Hilton card they have! If shops were paying 3%+ here to accept Amex cards, the offers would be outstanding too. We pay 0.5 or 0.6 on visa or MasterCard and less than 1% on Amex. Debits are 0.3 or just above. Keep AMEX Plat for the benefits and especially family travel insurance, and re-apply for Gold card to be used for spending (annual bonus) / particularly travel spending (extra MR). The renewal is only 0.6666 membership points per pound spent and not 1.6 as you state (which would actually have been 1.5 and not 1.6 if you did your sum that wrong way round). Some difference I think. You appear to have done your sums the wrong way round unfortunately…………………………. The BAPP would be the best card for me (when Lloyds finally revokes my Amex card with them, which is still valid but I note has an expiry date of 08/19 that it may perhaps not survive), except that I generally travel solo. I don’t know why Amex can’t also let you get two one way flights for the price of one instead of requiring you to take a Companion with you on a return flight………. I don’t get your maths sorry Julian. £15000 didn’t in a year. 25000 points earned (inc bonus). That is not 0.66667. Rob was pointing out what you would have earned in year one from the card. Actually the fee in year two is £140 and 10,000 Avios received so the cost is actually 1.4p per Avios earned and as its no longer possible to burn and churn this doesn’t seem like a very good deal. However obviously the 10,000 membership rewards in year two is designed as some kind of nod towards Amex’s poorer Avios earning rate of only 1 Avios per pound spent compared to 1.5 Avios per pound on the £160 BAPP card. But as that card also has the 2 for 1 upgrade voucher for spending £10,000 it has to be by far the better bet overall, except for single people always travelling alone once the Lloyds Rewards Amex card is no longer available. If you haven’t received a letter yet, then you’re either having your card closed later than most of us, or your postie dropped the letter in a puddle. I am in the group of people (there are still a significant number of us) who have not yet been sent their letter by Lloyds giving two months notice of replacement of the current Amex and Mastercard with a new single Mastercard now earning 0.4 Avios per pound spent and with no fee but with no fee free foreign exchange and no flight class upgrade voucher. Although my current cards expire in 08/19 it seems perfectly possible that they may be replaced as the card replacement cycle window is substantially longer than the time being taken to close the Lloyds Avios card products. Hi. Do I take it that if I renewed and received 2 lounge passes, these would disappear when I cancelled the card if I had not already used them? OK. Thanks. Thats news to me. I always believed once you had them, they were yours to spend any time in the 12 month period, irrespective of if you still held the card!!? The lounge card is linked to the underlying Amex card. Any extra visits (beyond the two free ones) to a lounge using it is automatically charged to that Amex. It makes sense therefore that when you cancel the Amex you lose the lounge card…and indeed this is what happens. Likewise, the priority pass with the Platinum card stops as soon as the Amex is cancelled. I didn’t know about the Amex Gold Hotel Programme, but have previously avoided booking through third agents because I’d lose status benefits and points. If booking through Amex Gold Hotel programme do you still keep these? Yes. As with Amex FHR for Platinum cardholders. Note that any GENERAL hotel booking made via Amex Travel will not earn you points or status benefits. The hotel I used in NY last year (Omni Berkshire Place) was availability through Amex Travel both within and outside the “Hotel Collection”. The HC price was about £200 more for the four night stay. Not worth in my opinion. OT – will I get the welcome bonus on HSBC Premier World Elite if I currently hold the free HSBC Premier card? Does anyone know if Amex would consider that having had a card in the UK counts in the 24 months rule applying to get an Amex in France, such as the Gold card? Only condition there is a revenue of €20k and a French bank account ? No, only applies to same country.